What makes some diverse societies successful, as opposed to others? If you look around the world, you’ll find plenty of nations that contain people of multiple religions and ethnicities, and more often than not there are explosive tensions between those groups. But in other nations, quite the opposite is true. Every group lives in harmony and works side by side in society without any hiccups (Switzerland is probably the best example of this). So why does diversity work in some countries and not others? In countries where there are racial tensions, you’ll often find a pecking order. There will be one group that for whatever reason, has the most influence over the government and society at large (which is often used to dominate the other ethnicities), while the other groups often find themselves scrambling to gain more influence and unseat the demographic that’s in charge. In diverse societies that are functional, everyone has common ground. They may have radically different beliefs, but when it comes to how society is organized, they like the current arrangement. Nobody feels like they’re getting the short end of the stick, nor is anyone trying to subjugate another group. For humans, it’s easy to live and let live when the political system you live under is fair to everyone, and you don’t have to worry about another race or culture telling you how to live your life. And that’s why the flood of refugees into Europe is such a big problem. These people don’t have common ground with the native population. Right or wrong, the minorities of Europe feel like they’re mistreated and exploited as a cheap labor source, and they don’t assimilate into European society. Meanwhile, the natural-born citizens of Europe often feel like the minorities are abusing their welfare system, and there’s a growing fear that their falling birth rates will eventually cause their culture to be supplanted by the migrant populations. This situation has all the makings for a diverse society that is rife with tension and violence. Case in point, Norway has a major culture clash underway between two rival groups. On the one hand, you have the right-wing Soldiers of Odin, who present themselves a street patrol group. They first emerged in Finland in 2015 in response to the flood of migrants that have arrived there from the Middle East, and not surprisingly they’ve since opened up chapters all over Europe, including Norway. They say they’re only interested in making people feel safe in public, much like the Guardian Angels organization in the United States. However, many of their members have criminal records (which are often racially motivated crimes), and they’ve been accused of being a xenophobic street gang or an anti-migrant vigilante organization. Their movement really picked up steam after the New Years sexual assaults in Germany, and their ranks continue to grow. It didn’t take long however, for another group to develop that would counter the Soldiers of Odin, and they’re not the typical left-wing pro migrant progressives that often protest at Pegida rallies. In response to the infidel group Soldiers of Odin patrols, we Muslims have chosen to create a group that will patrol the streets, first in Oslo, to prevent evil and encourage the good,” a source within the Islamist environment told VG. The group is officially calling itself Jundullaah, translated to English as ‘Soldiers of Allah’ or Norwegian as ‘Allaahs soldater’. Someone claiming to be a member of the group sent VG what they said would be the Soldiers of Allah’s official uniform: a black hoodie decorated with the black flag of terror group Isis. The Norwegian Police Security Service (Politiets Sikkerhetstjeneste – PST) declined to comment on the group, but Labour’s deputy leader Hadia Tajik strongly condemned both of Norway’s new self-declared ‘patrol’ groups. 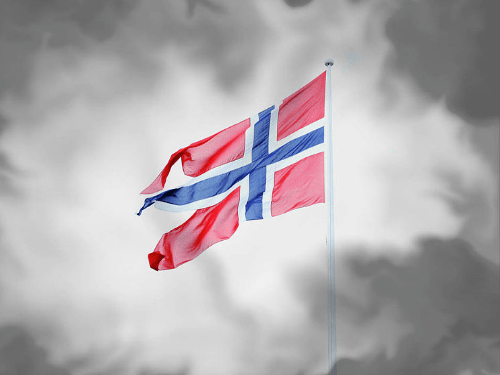 “Vigilantism does not belong in Norway, whether they do it in the name of Odin or Allah. I assume that the police, who are the only ones who have the authority to patrol the streets and use force, are following these groups as closely as the circumstances require,” she said. How long do you suppose it will take before these two groups have a violent encounter with each other? I suspect it won’t take long. Ronny Alte, a spokesman for the Soldiers of Odin, was just kicked out of the group for suggesting that a fight between themselves and the Soldiers of Allah would damage their movement. So it’s on, as far as I can tell. This is the new normal in Europe. They’ve taken in millions of people who can’t or won’t be assimilated, and both the native population and the migrants feel threatened by each other. Couple that with the fact that the governments of Europe have failed to maintain law and order, and you have a recipe for disaster. People on both sides are going to feel the need to assert themselves in the streets. It’s only a matter of time before these groups clash, and mass racial violence becomes commonplace in Europe.